I’m getting really annoyed with myself. For some reason I keep struggling with getting stuff done, especially with my ambitious marketing and writing plans. Things just seem to take longer and…well, it’s all probably just my ADHD getting in my way. I hadn’t thought about that aspect until I read a friend’s comment and lists of projects in motion and her surmise that maybe she was being a bit ADHD about it all, and then I went…oh. Yeah. Maybe that’s the reason. But still…. Some of this is also due to changes in online culture. Ten years ago, I was following a lot more blogs with writer metrics. Jay Lake, Elizabeth Bear, and others. The continual discussion of writing metrics and writing goals really helped keep me focused. Now…well, it’s all on Facebook, and for some reason I just don’t find what I read there to be inspirational. Perhaps not having a regular daily job is also a factor. I just don’t know. Blogging is one area which is really suffering. I have a list of ambitious blog projects that I want to do, commentary about writing and the intersection of writing and politics. Maybe I need to post a monthly or weekly accounting of active projects, what progress I’m making, and so on. Not the daily word count metric–though I may resort to that at some point just to jump-start everything. It may also be the mood of the current era. On the other hand, I blogged regularly throughout the Bush era, so maybe I just need to take myself in hand and do some accountability measures. Okay. So perhaps I’ll do that right now. What I’m trying to do right now is clear the deck of half-finished projects so that I don’t have them hanging over my head. 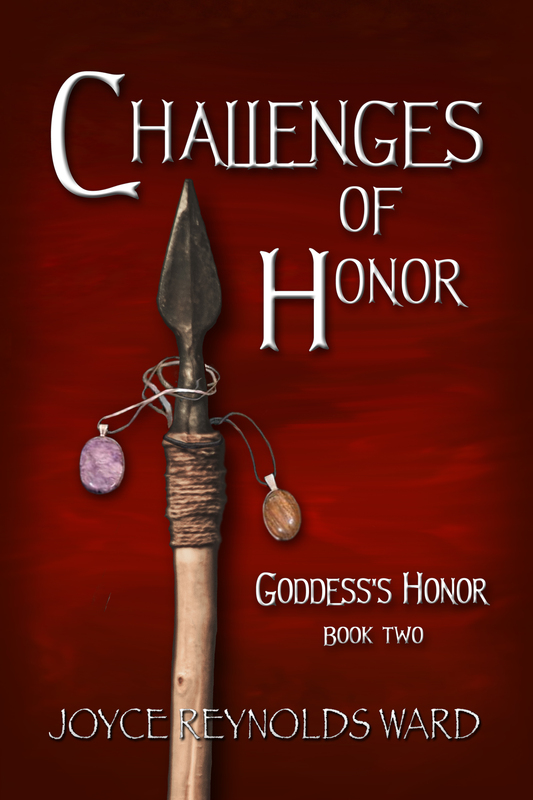 Challenges of Honor–due for release this month, needs formatting for ebooks and hard copy, blurb and MS size to cover designer, promotion plans needed. Planning to do some work on it today. Epic fantasy. Klone’s Stronghold–in rough draft, about 58k words, needs to be FINISHED this week to stay on schedule. Purchase cover, write blurb, prepare promotion plan, anticipated June 2018 release. Contemporary fantasy. Bearing Witness–in rough draft, about 30k words, needs to be finished in May but is a short novel. Purchase cover, write blurb, prepare promotion plan, anticipated July 2018 release. Western fantasy/Weird West. Seeking Shelter expansion and revision–Revise and expand book that I’ve gotten the rights back from the publisher. Notes made for revision, about 30k new words needed. Purchase cover, prepare promotion plan, anticipated August 2018 release. Apocalyptic/cli-fi sf. Federation Cowboy–in rough draft, about 20k words. Purchase cover, write blurb, prepare promotion plan, anticipated October 2018 release. Space opera with futuristic cowboys and sentient nonhuman beings uniting to defeat the Plasmid invasion. Ski Days–Compilation of ski blog posts. Need to edit and write introductory material. Cover, blurb, promotion plan. Anticipated November 2018 release. Memoir. Oregon Country–What if John McLoughlin, fur trappers, Native Americans, and non-missionary whites banded together to form Oregon as its own anti-slavery country in the pre-Civil War era? With magic and unicorns, somewhat of a wish fulfillment about what should have happened in the Pacific Northwest. One of my rare male protagonists. Weird West. 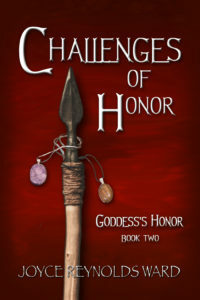 Choices of Honor–Last book in the primary Goddess’s Honor trilogy. Epic fantasy. Becoming Solo–Sewing, witchcraft, and coming of age. Urban fantasy. Rust and Flame–Secret supernatural warfare that has been happening in and around humans for years, warring groups brought together by an outside threat that endangers supernaturals and humans alike. Urban fantasy. Alice Mary/Coyote–A virus turns some children into superheroes, which is not widely accepted by society at large. Some short stories already published in this world. Urban fantasy. Star Shepherds–Far future extension of Netwalk Sequence world. Humans partnered with alien entities to battle a mutual threat. All this can change depending upon what happens with sales…..or if I get hijacked by a really good new idea.